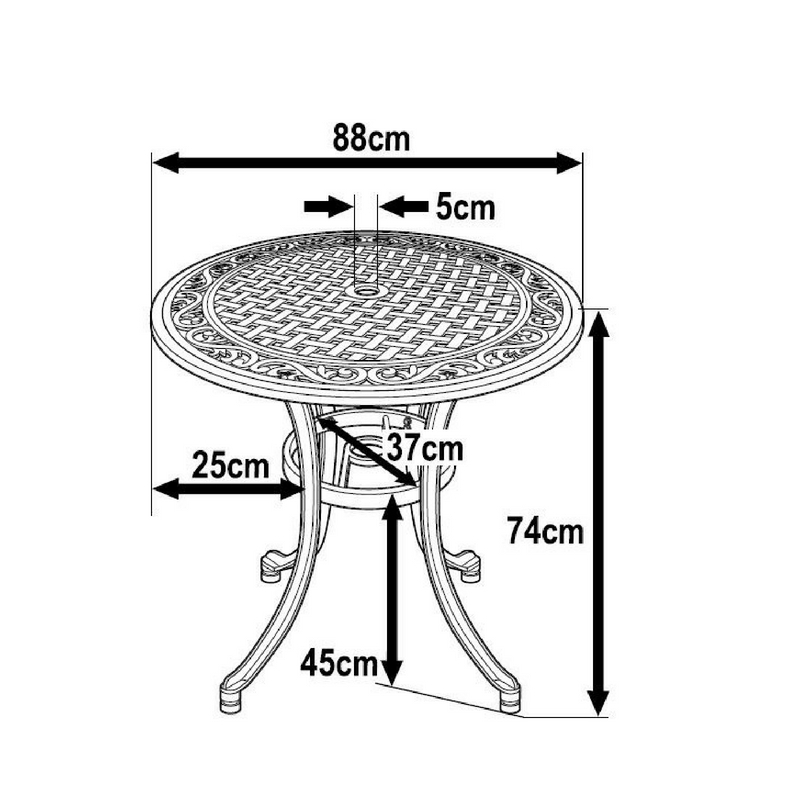 The Hannah table is a round cast aluminium garden table that features a curved lattice design and floral border. The intricate metalwork makes this table a stand-out piece, and the perfect choice for smaller gardens, patios, and balcony spaces. 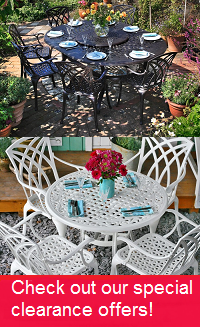 Enjoy the Hannah table for romantic evening meals for two, and casual drinks in the garden. With the Hannah table you can make the most of long summer evenings. The Hannah table comes with a choice of chairs so you can customise this set and make it your own, and it is also a lightweight table so easy to move around until you find the perfect spot for it to remain. There is high demand for the Hannah metal garden table in timeless Antique Bronze, but why not try one of the alternative colours we have available, such as brilliant white, sleek slate, or summery sandstone to help give your garden a more contemporary update. You could even save yourself a few pounds as we often have some great deals on these stunning alternative colours. 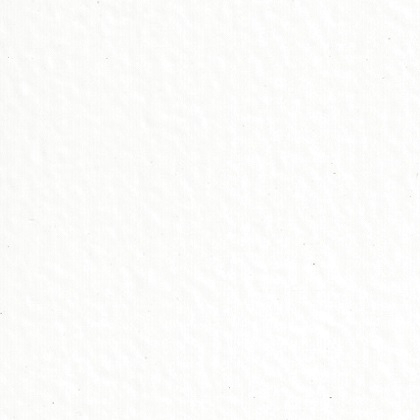 Delivery etc could not faulted however the product has not been assembled or used therefore I cannot comment. I was very pleased with the delivery system, the table arrived as predicted and in perfect order. You did keep me up-to-date with progress by email which was good, although texting would have been more immediate as I don't always check emails minute-by-minute. I would highly recommend your firm both for the quality of the table and for delivery satisfaction. I am a little disappointed. The central part of the table doesn't fit the hole. The quality control is to be reviewed. Other than that, we are satisfied. Very satisfied but still missing hardware was announced as a shipment. Tracking could be better. The procedure of ordering the table and receiving it so promptly went very smoothly. the table is just what I wanted for my courtyard, having had trouble previously with rust. I have already enjoyed meals out there and look forward to many ,more. I would certainly be happy to recommend you to friends. Straightforward order and delivery exactly as promised. Would award five stars but haven't yet removed packaging. An excellent choice of garden tables and I am very happy with the resulting purchase I made. First class delivery options.